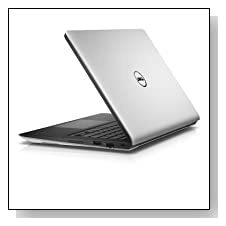 Silver Dell Inspiron 11 i3137-3751sLV is a low-cost, light and slim laptop with adequate features to help you at school or at home. The main selling point is its touchscreen, which comes in handy when you are working with Windows 8's applications. Although it has modest technical specs, it comes with useful features for everyday computing. Intel Celeron 2955U (2M Cache) at 1.4 GHz is a 4th generation processor that will help things run smoothly, 2 GB Single Channel DDR3 at 1600 MHz RAM is OK for a computer this size and tasks it would be used for but can be upgraded to 8GB and that would really speed things up quite a bit. 500 GB SATA hard drive at 5400 RPM is again more than sufficient for an average computer user. Try and get an SSD for fast boot-ups and better overall performance. This is not a laptop for gaming, multimedia editing or engineering softwares but other than that it performs well for a computer of this price range. 11.6 inch HD LED Backlit touchscreen display with Truelife and 1366 x 768 pixel resolution offers good quality picture with also Intel HD Graphics.. Windows 8 is such a touch compatible operating system, so the screen on this Dell Inspiron is good for that purpose. But don't forget to upgrade it to Windows 8.1 on Windows online store. Audio quality is better and louder than we expected as it comes with Dell 2.0 Speakers and Waves MaxxAudio 5. Noise-canceling dual digital array microphones are also interesting as it allows you to have clear Skype chats even when you have background noise in the room. Silver Inspiron weighs just 3lbs and starts at 1 inch thickness, so it is rather portable with also its small 11 inch screen. Being such a light and compact system, it doesn't have an optical drive but 2 USB 3.0 ports, Bluetooth tied to wireless card, 802.11 bgn wireless, an Ethernet port, a media card reader and an HDMI port to connect to large screens and HDTVs. 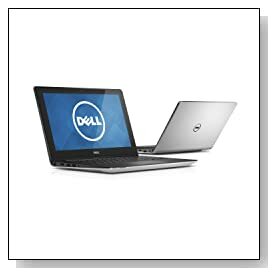 Conclusion: Dell Inspiron 11 i3137-3751sLV is not the most powerful laptop in the market but offers features that would not be expected from a computer in this range: Intuitive touchscreen, 8 hr battery life with display at 40%, good quality sound, USB 3.0 ports, lightweight, nice looks and sturdy build. Already adequate performance can be improved with the addition of a solid state drive and a larger RAM. It is a good buy with its current price on Amazon.com.